On the hunt for a New York City moving company? We’ve got you covered. Below, you'll find our recommendations for some of the top moving companies in the New York City area. 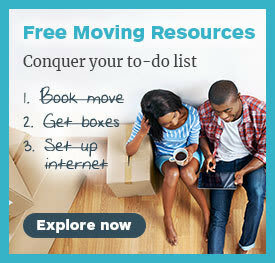 Honestly, finding a moving company is not as difficult as you might think. Just take a look below and choose the one that best fits your needs. If you’re wondering how we compiled this list, that’s a great question! All of the New York City moving companies below are designated as Updater Certified Moving Companies. This means they are not only reliable, professional, and genuinely care about their customers, but they also are well respected by the moving industry. That’s no small deal. Now that you know how we determined what the best New York City moving companies are, let’s take a closer look. 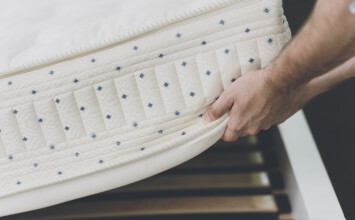 Steinway Moving and Storage emphasizes the “first-class difference.” This means that they personalize the moving experience for each and every one of their customers. Steinway does things a bit differently because they believe the pace of New York City has bred them into something great. They take the statement “If you can make it here, you can make it anywhere,” quite literally. Steinway made our list of the best New York City moving companies because of their honesty, all-out professionalism, and the extensive array of moving services that they offer. They’ve also been in business since 1948. Now, that’s something special! Based in Brooklyn, NY, Steinway Moving and Storage services areas throughout New York City, as well as Jersey City, NJ. Everything about my multiple experiences with Steinway has been amazing! It was a seamless process from start to finish each time. They are efficient yet careful when wrapping and transporting fragile items. I highly recommend using them! Bluebell Relocation Services believes that customer satisfaction trumps everything else. From packing to unpacking, they are willing to work with you for whatever you need. Bluebell made our list of the top New York City moving companies due to their small but mighty and dedicated team, as well as their A Rating on Angie’s List and their Elite Service designation on HomeAdvisor. Based out of Clifton, NJ, Bluebell Relocation services areas throughout the New York City area, plus New Jersey. I hired Bluebell Relocation Services for my recent move. The foreman and his team did an absolutely fantastic job moving us from NJ to NY. They were very considerate and went out of their way to ensure we were comfortable when everything was moved. This 68-year-old moving company is built on the ideals of determination and grit. Inspired by the legacy of its founder Clell James Hall, the story goes that Hall towed his truck with a horse to his moving customers for two months straight until he had saved up enough money to buy a motor. His unfaltering passion for great service regardless of obstacles still lives on in the company today. Hall Lane made our list of the best New York City moving companies due to its long-standing commitment to its customers, its over 50,000 moves serviced, and its outstanding 5-star customer reviews. Based in Commack, NY, Hall Lane Moving and Storage services New York City and the surrounding areas. The second-oldest New York City moving company on this list, Maffucci Moving & Storage has been in business since 1919! Every piece of a Maffucci move is done by in-house staff with a collective average of 25 years of experience. Maffucci made our list of the best moving companies in New York, NY because they offer every service you could possibly need during your move. They even have climate controlled facilities spread throughout their coverage areas for short-term or long-term storage options. 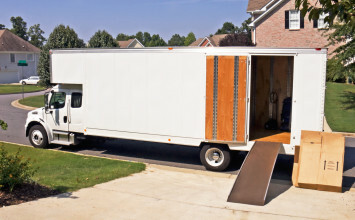 Based in Amityville, NY, Maffucci Moving & Storage services areas throughout New York City. Thank you to Maffucci for making my NYC move go smoothly. The moving crew was exceptional – efficient, friendly, and careful at every stage of the game. I would trust these expert movers with even my most priceless possessions. In business since 1946, Molloy Bros Moving and Storage are absolute experts when it comes to moving and storage. They made our list of the top New York City moving companies due to their long-standing dedication to the industry and their dedication to five core principles: honesty, integrity, creativity, dependability, and stewardship. 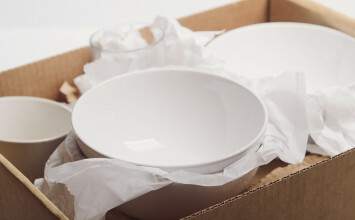 Molloy also offers an extensive array of moving and packing services — everything from piano to fine art moving. Based in Farmingdale, NY, Molloy Bros Moving and Storage services the greater NYC area, in addition to areas throughout New York and New Jersey. The Molloy Bros. staff arrived right on time and were amazing. They used drop cloths to avoid damaging the floor and treated all of our belongings with care. They were in and out of a 5-bedroom house in less than two hours! A professional moving company with over a decade of experience in the Tri-State Area, Redline Moving and Storage has completed over 25,000 moves. Whether you live in a five-bedroom co-op or a studio apartment, Redline is equipped for the toughest of moves. They made our list of the best New York City moving companies due to their Angie's List Super Service Award, the A+ rating from the Better Business Bureau, and their 5-star reviews. Based out of New York, NY, Redline Moving & Storage services the five boroughs and neighboring areas of NYC. Second time I booked with Redline. They are the best! Will be booking again for sure! Shleppers Moving and Storage is committed to moving excellence, community involvement, and the highest level of customer experience. Shleppers is expertly equipped and experienced in moving fragile valuables like pianos, grandfather clocks, and antiques. And, if you’re familiar with apartment life in New York City, you know having this ability is an art in and of itself! They made our list of the best New York City moving companies due to their wide variety of services including packing, crating, short-term storage, and long-term storage. Based out of the Bronx, NY, Shleppers Moving and Storage services the New York City area. I've used Shleppers twice within the last 3 years. Both moves went super smooth. My most recent move was from the suburbs to the city. The movers showed up in the morning right on time and took great care in loading up the truck. In business since 1915, William B. Meyer focuses on the integrity and dependability of their moving company. With a fleet of experienced staff, William B. Meyer has the expertise needed to move your home and most delicate possessions. 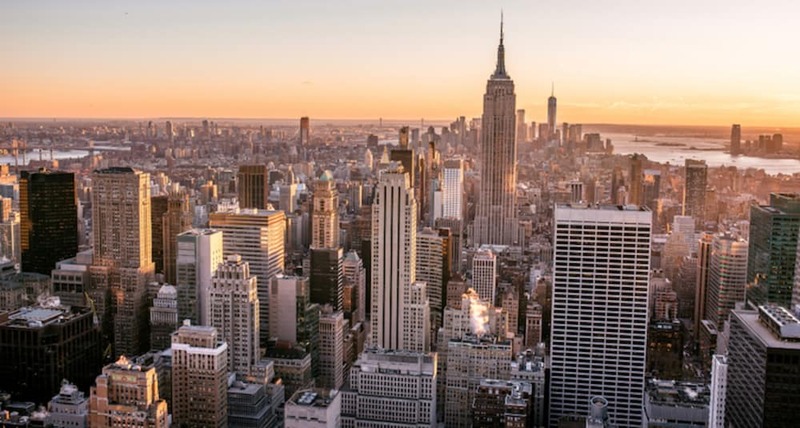 They made our list of the top New York City moving companies due to their state-of-the-art storage facilities fitted with vaults for both short-term and long-term storage services. Not to mention, their extensive packing, crating, and moving services. Based out of Bedford Hills, NY, William B. Meyers services the New York City area, as well as areas throughout New York and Connecticut. Very professional crew. They did a great job! Still need help deciding on the perfect moving company for you in New York City? Check out our video with 15 questions to ask any moving company. Remember, knowledge is power!